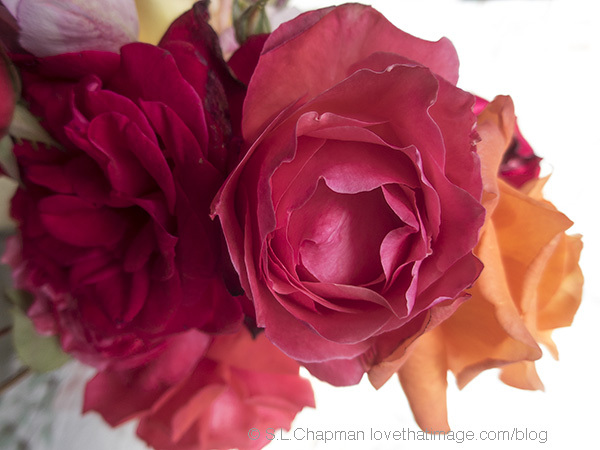 No matter what angle you share,roses are so beautiful. My favorite flower. 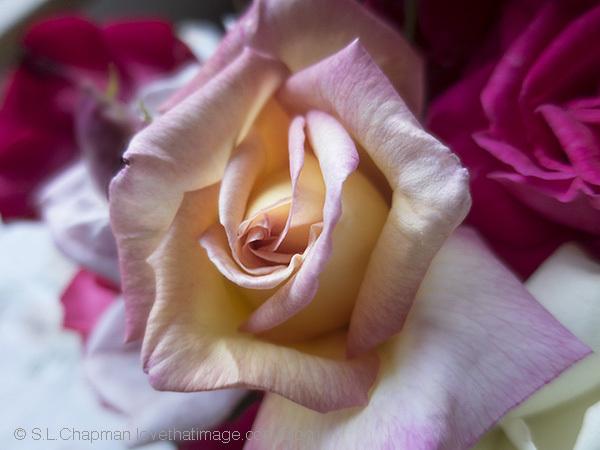 It is always lovely to bring roses inside and your roses are just gorgeous, Sara! I love roses, they always look so pretty. I love their scent too. It’s hard to choose but I think I like the second photo best. Well done on 25,000 comments. Lovely! Blog commenters are a special breed. Almost feel I could reach out and touch that Peace Rose! Love the subtle rose shadows! Always love roses and the fact you can cut and enjoy anytime when have them in a flower bed. Beautiful. I love roses of all varieties I seem to have a camera roll full of them!